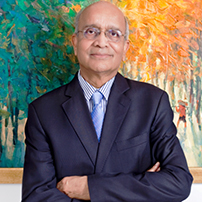 Mr. RC Bhargava, Chairman, Maruti Suzuki India Ltd joined Maruti (Udyog) in 1981 and became its second managing director in 1985. He was appointed Chairman & Managing Director in 1990 and held the post till 1997. Around a year ago, he was back as Chairman of Maruti Suzuki. He has had stints with Bharat Heavy Electricals Limited as Director (Commercial). He has served as Joint Secretary, Cabinet Secretariat, Government of India. An IAS officer from the 1956 batch, he completed his Sciences in Mathematics from Allahabad University and has a Master of Arts in Developmental Economics from Williams College, Williams town, MA, USA.